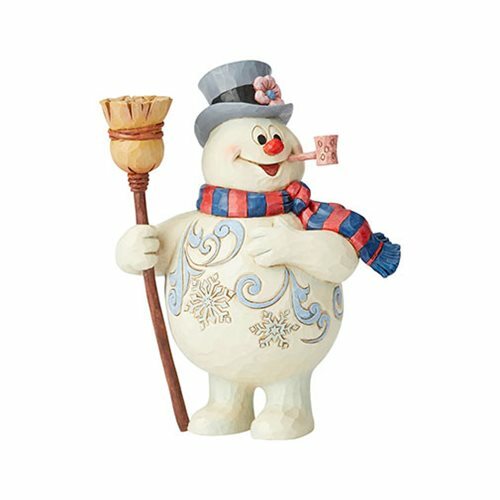 Based on the holiday classic Frosty the Snowman comes this spectacular statue designed by artist Jim Shore. 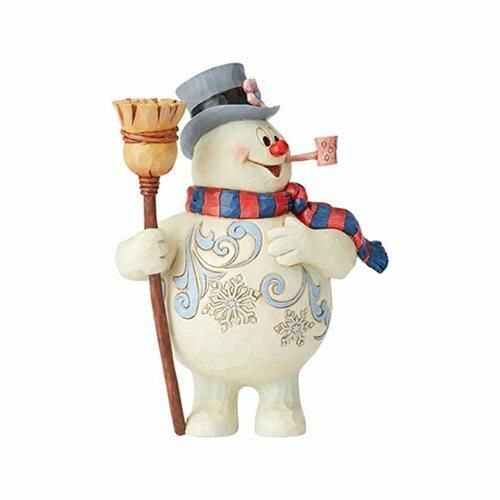 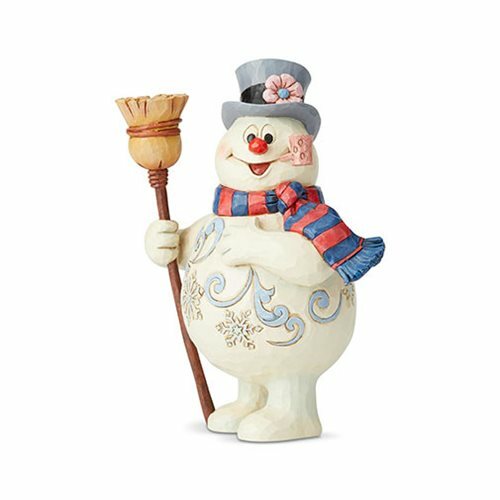 The Frosty the Snowman Frosty With Broom Winter Cheer From Ear To Ear by Jim Shore Statue is made of stone resin. 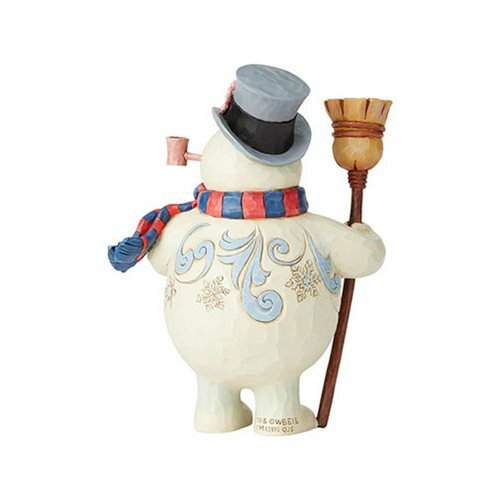 Measures about 8 1/4-inches tall x 6 3/4-inches long x 4-inches wide.